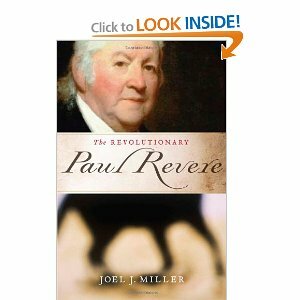 Joel J. Miller’s The Revolutionary Paul Revere is an exquisite account of the life of a little-known historical figure. (Realistically, what do we know about him, other than the midnight ride of Paul Revere? Not much, if anything.) It is meticulously researched and incredibly well-written. I have a degree in history (with a focus on American history) and can attest that the overwhelming majority of assigned reading is neither as fascinating nor as easy to digest as this book. I can only hope that American history professors will start including The Revolutionary Paul Revere in their syllabuses. This is not a book you will breeze through, mind you. It is chock-full of people, places, and events — in order to provide proper context and background — that you do need to pay attention to. That does not mean that this is a difficult book to read, because it is anything but. Miller leaves nothing unmentioned; he includes every aspect, such as the landscape, conflicts, the class system, work, religion, and family. As any good historian knows, each of these things (among others) play an important role in history. I cannot recommend this book enough. Granted, I am into history, which makes this book a natural fit for me. However, if you have any interest in American history, give this book a chance. I found it to be a delight and was anxious to get back to reading every chance I got. The Revolutionary Paul Revere was a fascinating book, but it also enriched my knowledge and understanding of a critical period in American history. Kristin is the mom of two boys and two girls and lives outside of Philadelphia, PA. She loves to read, write, shop, and spend as much of her summer as possible at the Jersey shore! Sounds very interesting. I’m a big fan of early American history so I will have to check this out.